Thinking about getting a group of colleagues together at NCER for a swamp tour or kayaking on the bayou? Check out the page linked below for a review of the best New Orleans swamp tours available to you, including tips on saving money. Exploring one of the swamps surrounding New Orleans is one of the most interesting things you could do as a day trip from the city. Aside from alligators, the swamps are teeming with with wildlife, from bald eagles, herons, egrets, mink, turtles as well as flora and fauna. 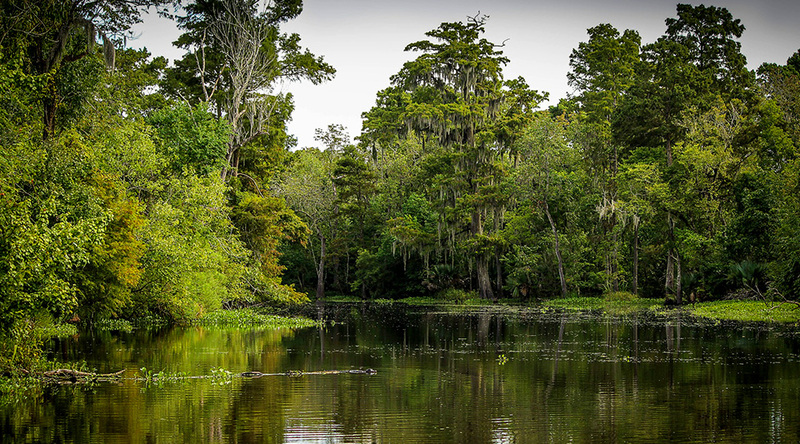 And if you are considering taking a swamp tour, then you will quickly see that there are many companies to choose from as well as options to explore the swamps. All swamp tour companies operate in either the Honey Island Swamp, which is approximately a 45 minute drive northeast of the French Quarter, the Jean Lafitte National Historical Park and Preserve, which is approximately a 30 minute drive south of the French Quarter or the Maurepas Swamp Wildlife Management Area, approximately a 30 minute drive west of the Quarter. You could choose a swamp boat, an air boat, a kayak or canoe or you could hike. Some companies will even pick you up from downtown hotels and B+B’s. Click the links below to learn more about each option. And don’t forget to check out Free Tours by Foot’s cemetery, voodoo, ghost and other New Orleans tours. Interested in learning more about the devastation of Hurricane Katrina? Viator Tours offers numerous options if you want to gather some colleagues and tour as a group.